Similar to many children under the age of six in Herculaneum, three-year-old John Freiner's parents keep him inside most of the time. His mother, Kim Brock, says she hopes that limiting his exposure to Herculaneum's lead-tainted soil and air will prevent lead poisoning. 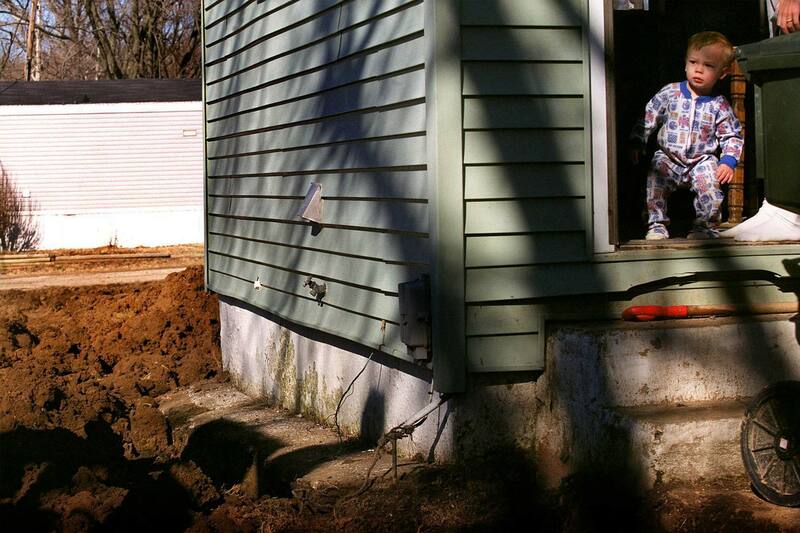 The Doe Run Co. dug up and replaced contaminated soil at the home and cleaned the interior of the house of lead dust. But the family worries that pollution from the Doe Run smelter will continue to endanger John. The house is not close enough to the smelter to be included in a buyout plan announced recently.